It is the first day of Lent - Let me be honest with you for a moment as I was flipping pancakes last night I was on Google looking up the meaning of Lent. I didn't become a Christian until my late 20's and there are some things that were never properly explained and sometimes there are words, holidays and practices it is just assumed I know. All I knew was that every year I give something up so that when I think of that thing I pray. and soul on God and draw closer to Jesus. One of the first things I notice in my search is that Lent is not in the Bible - so why do it if it's just a man made religious practice. I have no argument with those that do and I think anything that serves to bring our mind to God has to be a good thing. I just like to know why I'm doing something and if it is to draw closer to God and to focus on his suffering, life, death and resurrection, then I'd like to do it differently. So I've decided that in preparing myself to celebrate his amazing love for me in his death and resurrection I would take something up instead of giving something up. I have a wonderful acquaintance, Anita Hunt, who writes the most encouraging devotionals at Scatter the Stones and is a steadfast prayer warrior. At the moments she is in the middle of an eleven weeks study that she wrote on the Fruit of the Spirit. I signed up to this study, but never actually got myself into a routine of doing it each week and just saved the emails. So, that it what I am doing for Lent. 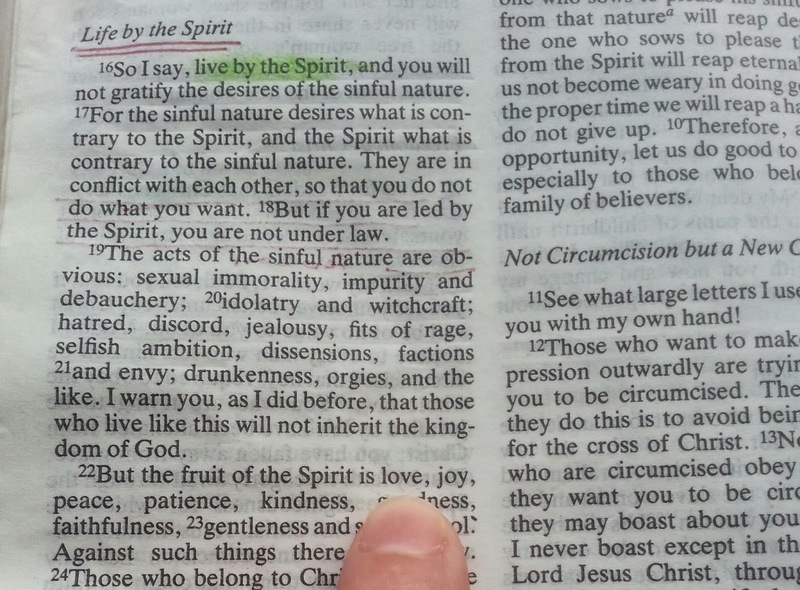 To draw closer to God, to learn from him and to become more Christlike - I can think of no better place to start than with the Fruit of the Spirit. Over the 40 days of Lent I get to study each of the nine fruits for about 4 days. Today I started with 'Love' and my focus, led by Anita, is the fact that Christ lives in me not because I deserve it but because he loves me so much that he gave himself for me. I have known this for the last ten years, since I became a Christian and yet it blew me away all over again. Jesus loves me so much that he died for me. Even before I knew him, even while I was still sinning, before I even acknowledged his existence, he loved me and died for and for you too, whether you accept it or not. It's not new, every Christian knows it, a lot of none Christians are aware of it and yet that fact just overwhelms me and fills my heart to bursting knowing that I am loved so much and I've done nothing to deserve it.